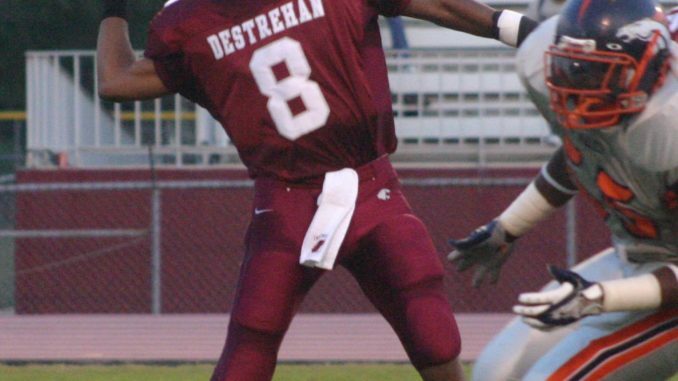 The Destrehan Wildcats will take on the Terrebonne Tigers tomorrow at 7 p.m. at home for their homecoming game. Last week, the Wildcats cruised to a 48-28 victory over the O. Perry Walker Chargers.Last Friday’s game marked the debut of the Edwin Reed show. The senior wide receiver, who missed the first game of the season with a knee injury, had four catches for 180 yards and two touchdowns. Running back Jerico Nelson also broke out with two touchdowns and 116 yards on 10 carries. Quarterback Jordan Jefferson, after a rough start, finished nine for 19 for 270 yards, four touchdowns and an interception. The return of Reed was a big part of the Wildcats’ win, and the team was glad to see him back. “Edwin is definitely a big part of our offense and it’s great to have him back, and we’re fortunate this year to have a few great receivers and a great running back to keep teams from keying in on Reed,” said Robicheaux. The Wildcats started slow Friday night, being forced to punt and turning the ball over on an interception in their first two possessions, but fortune smiled on them when Walker’s punter accidentally let his knee touch the ground on a punt attempt to give the Wildcats the ball at the Charger three. The Wildcats put it in on the next play on a three-yard Nelson run for a 7-0 lead after a Ryan Rome extra point. Their next possession found Jefferson finding his rhythm with a 34-yard pass to Reed and then a 22-yard touchdown pass to wide receiver Tim Molton. After another Rome kick, the Wildcats led 14-0. The next drive was also sparked by a Reed catch. After sputtering around midfield, Jefferson found Reed on a third and long for 27 yards, and three plays later the Wildcats were in the endzone on a 22-yard touchdown catch by wide receiver Damaris Johnson. Another Rome extra point gave them a 21-0 lead. Walker struck back on their next drive with a touchdown reception by Tyler Stratford from quarterback Prentiss Bovia with only a minute left in the first half,but the Wildcats answered before the half was up with a 15-yard run from Jefferson and then a 47-yard touchdown pass to Reed. The Rome kick gave them a 28-6 lead at the half. The Wildcats hit the ground running in the second half. After a 15-yard Nelson run, Jefferson connected with Reed again for a 72-yard touchdown pass to take a 35-6 lead. On their next possession, Jefferson connected with Nelson on a 41-yard reception and running back Joel Banks took it in from the nine-yard line to give the Wildcats a 42-6 lead. Walker did some catching up after this with two Bovia touchdown runs, the second coming after an onside kick recovery to make the score 42-20, but, the Wildcats fought right back, taking the ball in again on a 23-yard touchdown run by Nelson. The extra point was blocked, giving the Wildcats a 48-20 lead. The Chargers would score again on the Wildcats second-team defense on a reception by Wayne Jacobs, but the Wildcats would take the victory 48-28 and improve to 2-0 on the season. The Wildcats face Terrebonne this week. But this is not a Tiger team like the one that made the playoffs a couple of years ago. This Tiger team has yet to score in two games this season, suffering a 28-0 loss to St. James last Friday. So the Wildcats should have a happy homecoming that will allow the offense to flex its muscles and the defense the chance to post its first shutout of the season. “We’re preparing for Terrebonne just like we prepare for every other team. 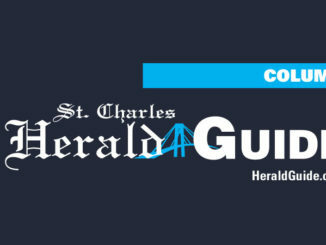 We’re just trying to get better every week,” said Robicheaux.